HDMI Mini Connector (Type C) to HDMI Connector (Type A) 15 Feet Long. Basically it does Everything that you could want in a HDMI Cable. 1080p Resolution - This High Speed HDMI Cable has sufficient bandwidth to transfer 1080p video signals between 1080p rated source and sink (display) devices. HDMI Ethernet Channel - The HDMI Ethernet Channel provides 100 Mbps, full-duplex Ethernet traffic along the HDMI cable, allowing a wired or wireless Ethernet connection on one device to be propagated to other devices. Note that for this feature to be functional, all pieces of equipment between the Ethernet source and the destination must support the HDMI Ethernet Channel feature. Audio Return Channel - Normally, your HDMI cable carries audio information along with the video from a source device (e.g. blu-ray player) to the sink device (display/television). Often times this goes through an AV receiver to drive a home theater audio system. The Audio Return Channel is primarily used to send the audio signal generated by the television when its internal tuner is used, back to the AV receiver, so that you can use your home theater audio system when watching television signals. 3D - 3D is the latest rage for both home theater and gaming. 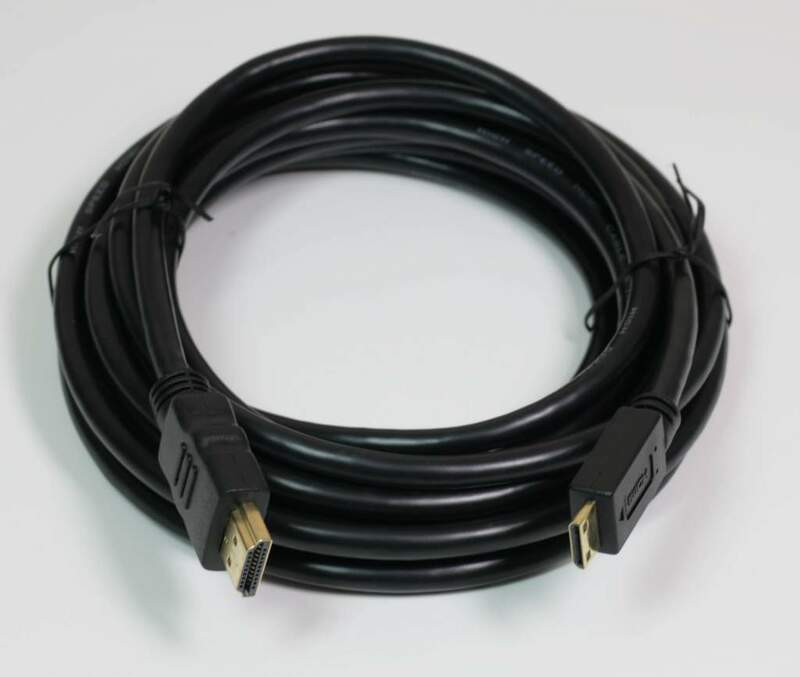 A High Speed HDMI Cable is capable of handling the high bandwidth requirements of 3D signals. 4K - The 4K resolution is 3840 x 2160 pixels @ 24 Hz, which is four times that of a 1080p display and the same resolution used by state-of-the-art Digital Cinema systems. A High Speed HDMI Cable is capable of handling the high bandwidth required for 4K support. Deep Color - The Deep Color feature provides a minimum of 8-bits per color element (24-bits total), providing for a total of over 16 million color variations. Other versions of Deep Color allow for up to 16-bits per element, for a total of 48-bits and over 281 trillion color variations. High Definition Audio - HDMI supports a full range of high definition audio types, including SA-CD, DVD-Audio, DTS-HD Master Audio, and Dolby TrueHD.